In this short documentary, black women talk about the challenges they face in society. (CNN) Several black pastors invited to meet with Donald Trump on Monday have denied reports that they had plans to endorse the presidential candidate at the event. Bishop Clarence McClendon, a Los Angeles-based pastor who like Trump has appeared on reality television, was invited to the meeting but will not attend. “The meeting was presented not as a meeting to endorse but a meeting to engage in dialogue,” he said Friday on Facebook. “The Preachers of L.A.” star said he will not make up his mind to endorse until January 2016. Bishop Corletta Vaughn, Senior Pastor of The Holy Ghost Cathedral and a star of the Oxygen reality series “Preachers of Detroit,” said she was invited to the meeting but will not attend nor endorse Trump. The Trump campaign has not responded to CNN request for comment on the issue Saturday, and in their announcement, the campaign did not specify, which religious leaders were invited to Monday’s meeting. Bishop Paul S. Morton tweeted Friday that he refused to meet with Trump, calling the candidate disrespectful. “I was asked 2 meet with Mr Trump too but I refused because until he learns how to respect people you can’t represent me thru my endorsement,” the founder of the Full Gospel Baptist Church Fellowship tweeted. The announcement has been met with criticism from some black pastors given that it came days after a Black Lives Matter activist was physically assaulted at a Trump rally. 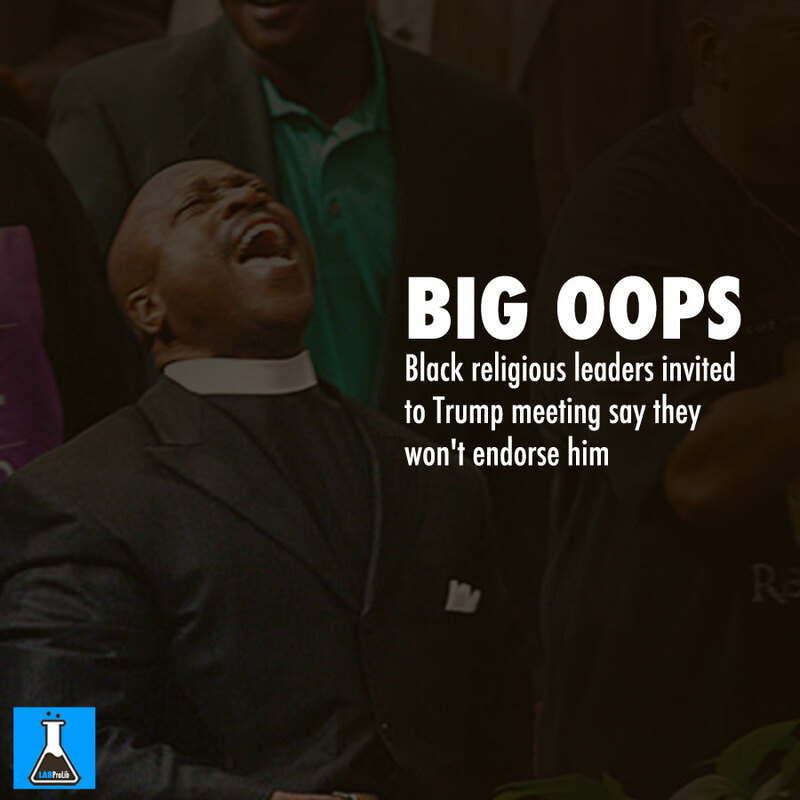 In an op-ed in EBONY magazine published Friday, pastors, seminary professors and Christian activists critical of Trump asked the group backing the candidate to consider the impact that endorsing him could have on their congregations.